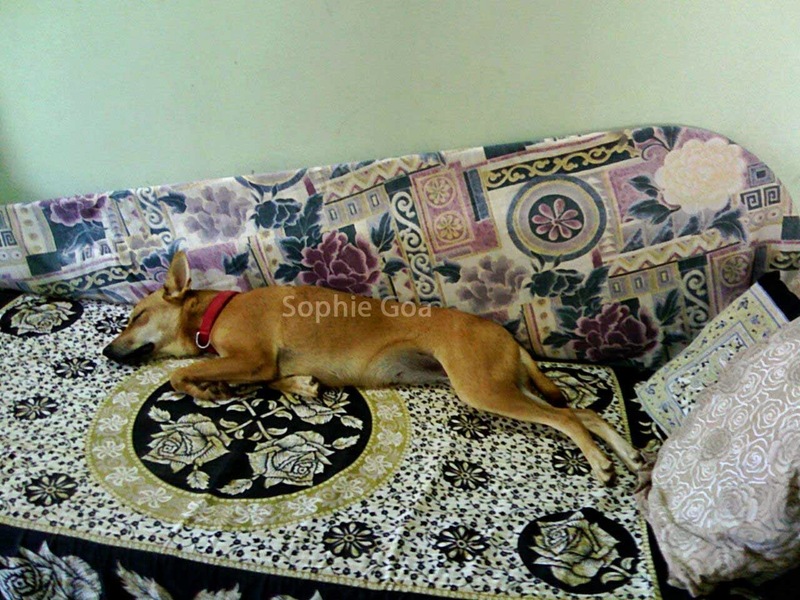 Just got the latest Sophie news from Goa! And it's all lovely and has put a big smile on my face. This gorgeous Indy princess is now 18 months old, and astonishingly smart (no surprises there). And astonishingly smart at getting her doting humans to pamper her (no surprises there, either!) Remember how she adopted her humans instead of the other way around? She's still as energetic as ever, more intelligent than I could ever have imagined, and a very picky eater. Surprising for her background - but she seems to have understood that if she says she doesn't like something, we won't force her to eat it or starve her till she does - but will get her something she likes. Spoilt - yes, I agree. Spoilt rotten! She loves sleeping on the family divan in the TV room. The minute it's free she has 'dibs on the divan' and comes running from wherever she is to lie there. Sleeps there on nights too, very often. Even though she has a really nice, large, soft and very comfortable bed - made specially for her by one of our cushion-maker friends. 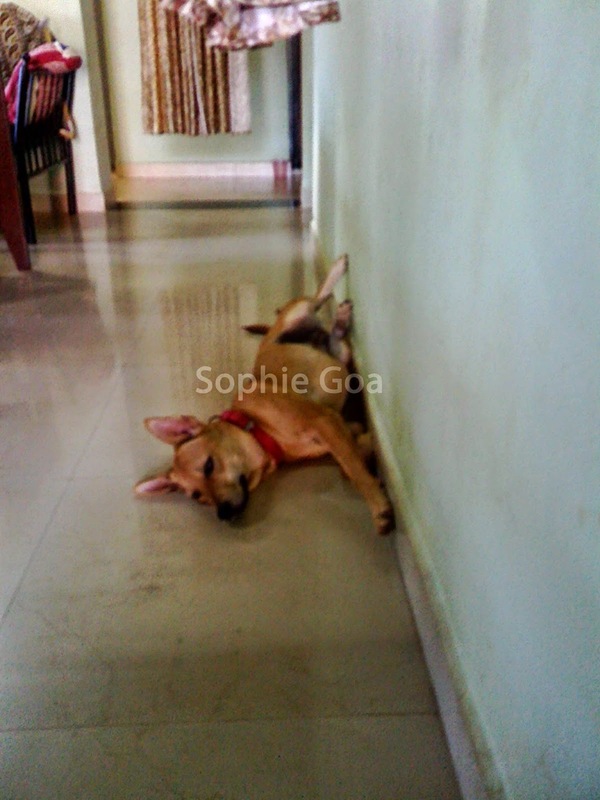 Another thing she loves doing is taking her afternoon siesta in the passage way (where it's nice and cool and breezy). And that 'publicity pic' of hers at the beginning of the post, I managed to get only by speaking to her. 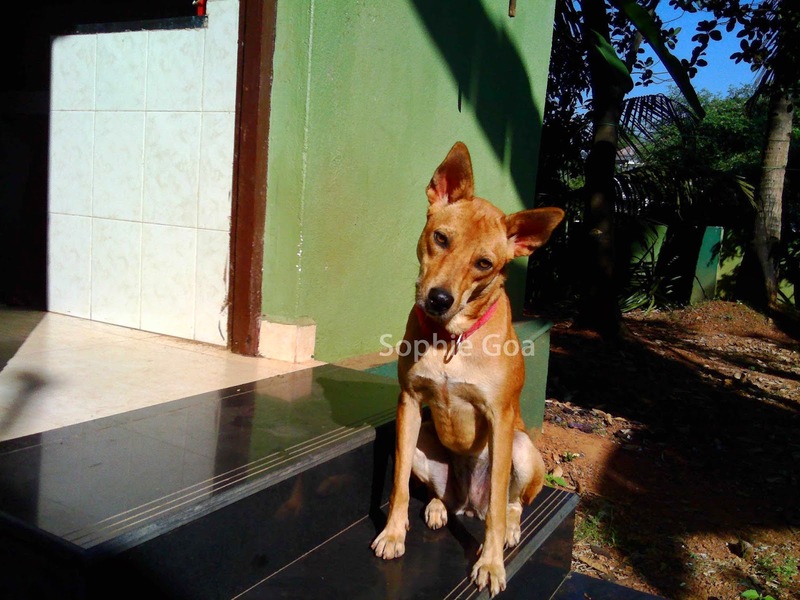 I noticed that there was no way she was going to sit still for a picture - so started telling her a story - and she was listening very intently (see the expression on her face and the tilt of her head) - and that's when I got her pic. I got a couple more too, but this one's the best. Believe me, I've had dogs - but this is by far the smartest one yet. So much to do, so much to see and smell...c'mon, c'mon...!